The right mattress is an essential part of getting a good night’s sleep for everyone, but this is particularly true for those with a disability or reduced mobility. 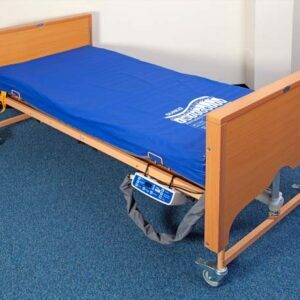 We provide a range of mattresses in partnership with Sumed, offering excellent comfort, and improved safety for clients at risk of pressure ulcers. When paired with our beds, these mattresses provide an excellent sleeping solution for a variety of needs. There are two main types of mattress available in our range. 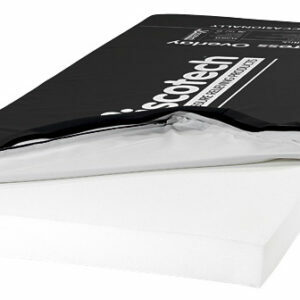 The Visotech Community Mattress is manufactured with a polyurethane cover to keep fluids out, and is constructed in a flexible structure for excellent comfort. Multiple safe weights are available, catering for low to high-risk patients up to 40st. The revolutionary Integrity Alternating Pressure Mattress System features alternating and static modes with exceptional adjustability, helping to provide a good night’s sleep for even the most at-risk clients. Micro low air loss cells help to relieve pressure, offering incredible comfort. Pressure and cycle time can be adjusted to suit individual patient needs and body types with soft, medium and firm pressure settings, and cycle times of five, 10, 15 and 20 minutes. Our mattresses are manufactured to the highest standards in the UK, ensuring excellent comfort and a reduced risk of pressure ulcers for clients with limited mobility. Combining our mattresses with our beds and bed management systems provides a complete sleeping solution, and in many cases can enable single-handed care.